I am in love with this tree! 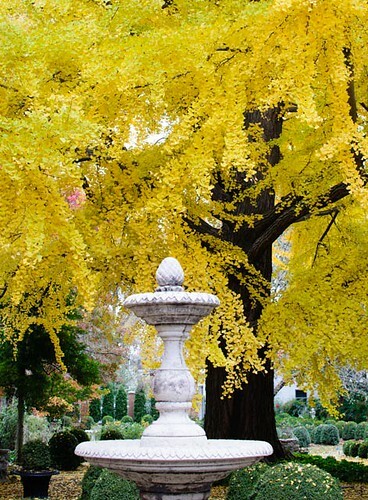 It is the oldest and largest gingko tree in the United States. The fountain in front of it just helps showcase the beauty of the foliage. So pretty. Love the contrast between the leave color and the fountain.